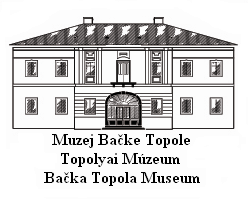 The Bačka Topola Museum, as a branch of the Municipal Museum of Subotica, was founded in September 2002. The Museum is located in Krai family castle built in 1802. Permanent exhibition includes biological, archaeological, local history, literature and fine art collections. The collections show natural world of the Krivaja banks, archaeological material from the Stone Age, Sarmatian, Avarian and medieval period. Visitors can also see the works of fine art and literature related to Bačka Topola. There is a library of dr Imre Harkai, an architect, and a memorial room dedicated to dr János Hadzsy, a doctor and a surgeon.